As the Richard the Third Society gathers for its Annual General Meeting in Leicester, questions remain about the process by which Hinckley and Bosworth Borough Council awarded High Tech research company HORIBA MIRA planning consent to build a £26 million test facility on part of the registered battlefield of Bosworth. The fog of war surrounding the decision of Hinckley and Bosworth Borough Council’s planning committee to grant tech giant HORIBA MIRA planning consent for the building of a £26 million test track for autonomous and connected vehicles at the MIRA Technology Park in the English East Midlands is starting to clear in the same way that on the afternoon of 22 August 1485 the acrid clouds of smoke generated by one of the first artillery duels on a British battlefield cleared to reveal a scene of carnage on the battlefield of Bosworth. The battlefield which is now occupied in part by that same MIRA Technology Park. In 1485 the most famous casualty of the day was King Richard III who died fighting heroically for his crown, according to his supporters, or crying pathetically for a horse according to William Shakespeare, in all probability only a few hundred meters from the edge of the site where the test track will be built. Thankfully in 2018 the casualties of the second Battle of Bosworth are not in the same order as the over one thousand men and horses whose remains almost certainly still lie somewhere in the fields where the battle took place. This time the casualties are trust in the ability of the national planning system to protect the most important of the nation’s historic battlefields and perhaps also, and most corrosive for the heritage sector, the reputation of the regulatory bodies and those who serve them in attempting to render that protection. This is because, for critics of the current planning system, the decision of the Hinckley and Bosworth planners highlights all that is wrong with that system in the most clear and embarrassing way possible. In particular the fact that, when it comes to a controversial planning application that politicians, national or local, want to see gain consent, there is no such thing as a level battlefield. The advantageous high ground is always in the hands of the applicant. However, this story starts with everything which is good and exciting about the archaeology of battlefields. State of the art archaeological research carried out in the Bosworth area since 2004, and still ongoing today, has managed to dismiss at least four previously argued locations for the battle and effectively has also written the manual on what is possible to achieve in terms of research on a pre-industrial battlefield. However, while it may have taken archaeologists and historians five hundred years to begin to crack the mysteries of the Battle of Bosworth the high-tech automotive industry works on a somewhat shorter timescale. Given the status of the MIRA Technology Park as an Enterprise Zone, the jobs and kudos it provides and the multi million pound investment from Whitehall, the Hinckley and Bosworth planning officers and many of the councillors whose advice they receive, will have started with the working premise that what MIRA wants, MIRA gets, even if that means gobbling up part of a national heritage asset of the highest importance. Of course, there is no suggestion at the moment that anyone involved in the planning process has behaved improperly. It is simply a case of realpolitik and there are many things which can be done perfectly legitimately under standing council procedures to ensure that the possibility of successful opposition to the kind of scheme proposed by HORIBA MIRA, which is already remote, can become vanishingly small. It is all about controlling the narrative and making sure that the councillors taking the actual decision only see what you want them to see, with as few complicating factors as possible. For a start you can limit your statutory consultation with the community to the local area. Forget the nationally important heritage asset the registered battlefield, this is merely a local planning issue. Right? Then, because of rules which were set up for paper petitions, a petition from a reputable on-line website change.org, which has attracted over fifteen thousand names, can be disqualified because the format does not include postal addresses. Most issues will have been sorted out before the plan gets to committee, that is how the system is supposed to work. However, when it comes to the actual meeting of the planning committee it is perfectly legitimate under the procedural rules to have three people speaking on behalf of the applicant and just one, limited to a mere three minutes, speaking in opposition to the application. As discussed above, the face to face meetings between officers and the applicant and its representatives, are all perfectly acceptable in the name of promoting sustainable development. Meetings with opposition parties are of course optional, although it is sensible to have at least a few otherwise you might face accusations of privileged access, not that a site visit for the committee with an opportunity to hear both sides of the argument on the ground is required. In this regard thePipeLine understands that councillors from Hinckley and Bosworth Borough Council were offered a tours of the battlefield to aid their understanding of the arguments. However only a few councillors actually took up the offer. The council was also offered a briefing by a representative of the Battlefields Trust on the tourism potential of an undamaged battlefield three times and turned the briefing down on each occasion. Neither is it required for councilors who have longstanding links to HORIBA MIRA to recuse themselves from involvement in the planning application as long as they declare the links, as three councillors, Cllrs Cook, Sutton and Ward did quite properly before the 28 August meeting, declaring that they were members of the MIRA Liason Committee. This applies even though Cllr Ward and Cllr Sutton are respectively the Chairman and Vice-Chairman of the Planning Committee considering MIRA’s planning application. Of course it is a damn nuisance that it came to a second meeting to discuss planning consent for the test track in the first place. If the local newspaper, the Leicester Mercury had not picked up the planning application and run the story on its website, thus warning the Battlefields Trust, the planning application would almost certainly have gone through on the nod with next to no opposition in 28 August. Not that the opposition really ever has a chance because everyone knows the facilities at the MIRA Technology Park are central to national policy for transport and technology. It is also the case that local politicians, councillors and senior officers of the council have been working with HAIBA MIRA for years. And they all know how well connected HORIBA MIRA is in Government circles in Whitehall. The connections run upto and include, the Prime Minister. They also know that in May 2018 HORIBA MIRA signed a contract relating to autonomous vehicles with a Turkish defence company during the visit to the UK of Turkish President Recep Tayyip Erdoğan. The deal was brokered by former Labour foreign secretary Jack Straw. They know that many of those autonomous vehicles under test will be painted in camouflage and operated remotely by people in combat fatigues. Defence related projects figure strongly in the plans for autonomous and connected vehicles. Above all they know that the Government has sunk £51 million into the £80 million partnership between the Centre for Connected and Autonomous Vehicles (CCAV), Automotive Council UK and the Advanced Propulsion Centre of which the TIC-IT project test track will be an integral part. And they have seen the photograph published to mark a meeting at the MIRA Technology Park on 20 July 2018. Attending the meeting and present in the photograph are Transport Secretary Chris Grayling, four local MP’s Marcus Jones, MP for Nuneaton and Bedworth, David Tredinnick (Bosworth), Alberto Costa (South Leicestershire) and Craig Tracey (North Warwickshire) and Bill Cullen, Chief Executive of Hinckley and Bosworth Borough Council . That is the price of the heritage and of the destruction of part of the Battlefield of Bosworth, £51 million and having to be photographed standing next to Chris Grayling. However, while the Hinckley and Bosworth planners are being attacked roundly as the actual decision makers, and for the perceived unfairness of the process they oversaw, at the time of writing some of the most concentrated fire from those protesting the decision to grant planning consent is being aimed at heritage regulator Historic England. In part this criticism is unfair to an organisation where many of its staff are doing their best under very trying conditions. After the 2010 General Election, the Coalition Government’s austerity policy saw the loss of funding which had begun under the Labour Government accelerated to the extent that the organisation had its budget cut by over a third. This in turn led to a loss of experienced staff and with them a loss of considerable in-house expertise. The organisation also suffered the double administrative trauma of the forced and hurried split to remove the historic properties portfolio from the government’s books as English Heritage and the re-branding of the remaining statutory functions as Historic England. With that came a requirement laid down by then Chancellor of the Exchequer, George Osborne, for the organisation to support what the government defined as “sustainable development” within the planning system, thus limiting the freedom of the organisation to oppose a development outright on heritage grounds. A situation which has led one independent expert to tell thePipeLine that in the view of many in the sector Historic England has been “captured by Whitehall”. That is that the organisation has become allegedly risk averse, unwilling and unable to stand up to the Government’s spending departments like the Department for Transport, and always concerned that any signs of independent thought will be punished by the Treasury with a further cut in funding. Those critics argue that all that is wrong with Historic England in its current iteration is on view in the organisations’s handling of the Bosworth planning application and in particular in the content of the two advisory letters which Historic England submitted to the Hinckley and Bosworth planners. To the battlefield campaigners, Historic England, through the two letters have taken on the role of the army of Sir William Stanley whose last minute intervention Bosworth in an act of alleged betrayal, ensured the victory of Henry Tudor and the death of King Richard. In the first letter submitted by Historic England over the signature of Dr Andy Hammon on 2 August, Historic England stated that while the organisation had some “…concerns regarding the application on heritage grounds” Historic England “…recognised the substantial public benefits of the development proposal” and reminded the planning committee that the MIRA Technology Park was a center of excellence with the status of an Enterprise Zone, and that its expansion was supported by the British Government. This in itself caused some concern on the part of opponents of the HORIBA MIRA scheme because, it is argued, the positive public benefits claimed for the project are irrelevant to the heritage aspects of the decision, so there was no heritage driven reason for Historic England to mention the alleged benefits at all. It is also pointed out that Historic England is not equipped to assess whether or not the benefits claimed in the HORIBA MIRA planning application were credible, particularly when the only data regarding those benefits which was presented during the planning process came from the applicant and was not subjected to any detailed analysis by independent experts. The follow up letter from Historic England, also over Dr Hammon’s signature and dated 5 September reiterated essentially the previously stated position that the development would cause some harm to the registered battlefield and it was for the council planning committee to weigh up the costs and benefits. This comment appears to be the only evidence that there were any substantive discussions regarding a possible alternative site for the test track which avoided the registered battlefield. However, it is not clear if the discussions referred to in Dr Hammon’s letter even involved HORIBA MIRA. The company’s public stance was that there were technical and land issues which meant that the site described in the planning application was the only practical option. This stance was reiterated by one of the company’s representatives at the 25 September planning meeting. Andy McDonald is representing HORIBA told the planning committee that reducing the track’s dimensions would render it unfit for purpose, before repeating the threat that the jobs the site generated could be lost to another site in Britain, or even to a site in Europe. What is certain is that the comment appears to have been made in spite of the fact that no alternative site was put out to consultation as part of the planning process, let alone subjected to the required detailed landscape studies and modelling on behalf of the applicant. Thus the comment included in the letter was essentially nothing more than a subjective opinion on the part of Historic England and critics say it is difficult to see why it was included. However, those present at the planning meeting, or reading accounts of the meeting are of the opinion that the stance of Historic England was decisive in the test track receiving approval. Indeed, some go as far as to suggest that by stating in its advisory letters that the project would bring public benefits and that the site proposed was the least harmful to the registered battlefield Historic England were actually giving the project a tacit endorsement. In seconding the motion to approve the plan at the 25 September planning meeting Cllr Kevin Morrell said as much when he cited the failure of Historic England to raise any objection as reason to support the application. There is a another aspect to the role of Historic England in the controversy over the extent of the registered battlefield of Bosworth. The area of the registered battlefield was wrong from the moment the battlefield was first registered in 1995 and Historic England [previously English Heritage] have been playing catch up with the history and archaeology of the site ever since. This situation was described by Dr Foard as “inexcusable”. In a comment whihc was precient given the latest research, he also observed that other key elements of the battle such as areas of the flight of elements of the defeated army were also almost certainly excluded from the registered area. One further very public upshot of this ongoing process of research and clarification as to the genuine landscape of the battle is that Leicesteshire County Council now own a visitor center interpreting the battle which is actually as much as two miles away from where the battle was actually fought. The essential lesson is that the archaeological study of battlefields is dynamic and techniques and understanding are developing all the time, with the result that, unfortunately for Historic England’s peace of mind, the archaeology of Bosworth has been leading inexorably towards the western ridge which will be taken out by the HORIBA MIRA test track. Indeed, had the archaeology been more advanced in 1995, the chances are that more of the MIRA Technology Park will have found itself within the registered battlefield. Making things worse, the new Historic England axed its four advisory panels of independent experts, including the Battlefields Panel. Some saw this as a method of bringing all discussion and execution of policy “in-house” giving Historic England’s management more direct control of that policy and its execution, at the expense of a quasi-independent advisory check and balance. Independent experts contacted by thePipeLine, including former members of the panel argue, that the advice they would have given Historic England nationally and locally, is that the HORIBA MIRA plan will cause “substantial harm” to the battlefield and set a dangerous precedent for registered battlefields nationally. However, in this case, as in other high profile cases, such as failing to oppose the Stonehenge Tunnel and upgrading to a dual carriageway of the A303 which critics, including UNESCO, argue threatens the integrity of the Stonehenge and Avebury World Heritage Site, and in accepting the zoning of houses close to the nationally important Old Oswestry Hill Fort in Shropshire, the organisation finds itself at odds increasingly with independent experts and as a result risks losing the confidence of the wider heritage sector, if it has not already done so. The view towards the site of the HORIBA MIRA test track on the registered battlefield of Bosworth. Has Historic England Allowed National Policy For Historic Battlefields To Be Redefined Hinckley and Bosworth Council? A further concern to battlefield campaigners, including the Battlefields Trust, is the precedent which the decision is argued to have set regarding efforts to conserve Britain’s historic battlefields. The question is, should decisions about the most significant national heritage assets, and almost everyone agrees the battlefield of Bosworth is such an asset, be left to local planners with only the mildest of guidance to jump this way, or that way, from the national regulator Historic England? However, critics of the Bosworth decision suggest that Historic England have sidestepped this provision by suggesting simply that the harm caused to the registered battlefield of Bosworth by building the HORIBA MIRA test track is not substantial. This is a categorisation with which a number of independent battlefield experts, including the Battlefields Trust, disagree fervently and the further suggestion that the creation of a 3D computer model of the affected part of the battlefield can turn major harm caused by the loss of part of the landscape of the battle into a large public benefit as described in the landscape study by the University of Leicester Archaeological Services, has been met by a combination of horror and derision, amid accusations that an internationally important heritage site is being reduced to the status of scenery in a Playstation game. Some campaigners go as far as to suggest that, by defining the complete loss of what may be a key part of the battlefield as less than substantial harm and thereby not being required to employ the “wholly exceptional” test set out in the National Plannning Policy Framework, Historic England has allowed Hinckley and Bosworth Borough Council to effectively redefine the national policy for the protection of registered battlefields without any wider discussion in the archaeological community and in particular among experts in the history and archaeology of battlefields. [to do the planning archaeology]? If Historic England’s decision to define the level of harm was decisive in the decision to grant planning consent for the test track, questions are also being raised about the involvement of the University of Leicester Archaeological Services [ULAS] which acted as archaeological consultant for the planning application, and in particular about a potential conflict of interest on account of the longstanding relationship ULAS’s parent body, the University of Leicester, has with HORIBA MIRA. Indeed, the relationship between HORIBA MIRA and the University in the area of the development of autonomous vehicles is a direct one. “A number of academics from the college of science and engineering, spanning the departments of computer science, chemistry, engineering and mathematics presented their research and expertise in the domain of Intelligent Vehicles/Intelligent Mobility, Energy and Vehicle Architecture. The high tech ASDEC test facility was operated by the University at the MIRA Technology Park until 31 July 2018. The problem with all this is that University of Leicester Archaeological Services is an integral part of the structure of that same University of Leicester, being a department within the School of Archaeology and Ancient History and given the University’s commitment to working with the technology giant critics of the Bosworth decision argue that, while there is no evidence of any individual acting improperly, it is legitimate to ask how objective the University’s archaeologists could be when their own core funding is dependent on the policies of the same University management which also manages the Universities relationship with HORIBA MIRA. However, it appears that such transparency has not been applied to the work on the HORIBA MIRA application at Bosworth. The documents submitted by the University of Leicester Archaeology Services do not make clear the direct relationship between the University and HORIBA MIRA and do not record the means of ensuring objectivity and transparency. But then, inexplicably, neither does the landscape study mention the Bosworth Battlefield conservation plan adopted by Leicestershire County Council in 2013. There is one final cause for concern. HORIBA MIRA’s stance throughout the controversy has been to effectively ignore the heritage issues in favour of pushing aggressively the media narrative carrot of the MIRA Technology Park as a high-tech success story, delivering jobs and prestige to the area, while waiving the stick of the loss of those jobs if planning consent was not granted. This approach was continued in a press release welcoming the decision of Hinkley and Bosworth Borough Council’s decision to grant the test track planning consent. Chris Reeves, Head of CAV Technologies at HORIBA MIRA, thanked “Hinckley & Bosworth Borough Council, our stakeholders and our neighbours” for their support. He also name checked the UK Government and its £51 million investment into research at the site. However, it is notable that the statement made no mention of the controversy and historical sensitivity of the Bosworth site. It seems that as far as HORIBA MIRA’s public relations campaign is concerned at least, the Battle of Bosworth might as well never have happened. This is an omission which causes some concern to people campaigning to protect the battlefield. They fear that at some point in the future HORIBA MIRA may come back for more of the registered battlefield of Bosworth. 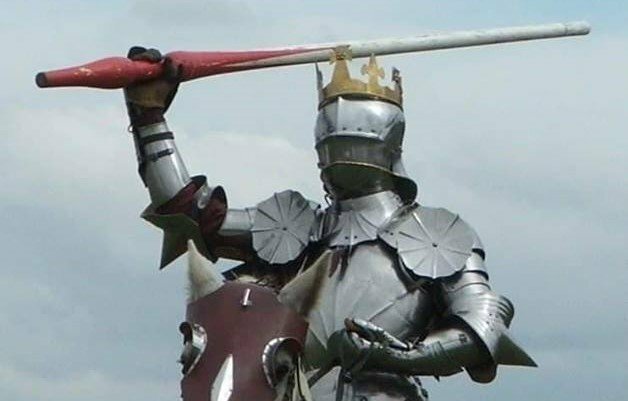 The Battlefield of Bosworth Bought And Sold? Cynics might think that HORIBA MIRA’s planning application which brought about the second Battle of Bosworth in August and September 2018, was implicitly also bought and sold by British Government policy, and fifty one millions of pounds of government cash, before it ever went before the Hinckley and Bosworth planning committee. In that reading the initial decision of the Councillors to defer the planning application was an aberration in a process which was designed to have only one ending, the granting of planning consent for the test track. However, the deferral can also be read as a remarkable achievement in that, from what was effectively a standing start, the campaigners attempting to protect the registered battlefield managed to force the HORIBA MIRA juggernaut to a screaming halt for a month and turned what was apparently designed to be simple local planning decision into a major national controversy which shows no sign of going away. Indeed, as the research for this article demonstrates, the more the decision to grant HORIBA MIRA planning consent is examined, the more far reaching seem to be the consequences and the more questions are prompted. Indeed, it can be suggested that, whereas the first Battle of Bosworth was about who would govern England, the Second Battle of Bosworth may come to be defined as being about what value we place on Britain’s most significant battlefield heritage and just who is fit to govern it? The University of Leicester and University of Leicester Archaeology Services have been approached for comment regarding their involvement with the planning application, the nature of the relationship the University has with HORIBA MIRA, and the perception of a conflict of interest, but neither body had responded by the time of publication. thePipeLine also understands that discussions are underway regarding the feasibility of seeking a Judicial Review of the decision of Hinckley and Bosworth Borough Council to grant planning consent for the test track.